Contests from your AnimeIowa pictures website, brought to you by Sephiroth. 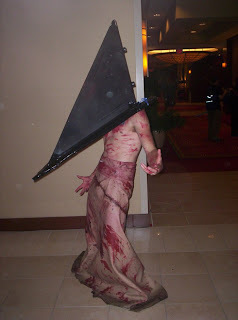 The most scary costume award will go to: Red Pyramid! (Did anyone have any doubts?) This guy is covered in blood, wears a pyramid on his head... fortunately doesn't have his knife on him, but he can still rip skin off. Congratulations! He's so scary his picture appears twice in the gallery. 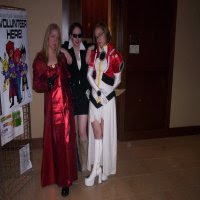 This website is an unofficial AnimeIowa fandom site. We have many AI pictures, and hope you enjoy them.